J.H. 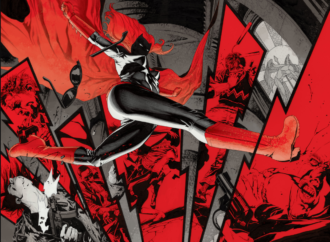 Williams III Reveals Cover Art for New Blondie Album Creator of all things beautiful and trippy, Sandman: Overture and (formerly) Batwoman’s J.H. Williams III, made a predictably beautiful and trippy image for the cover of a new Blondie album. Also, yes, Blondie still puts out albums: a surprise to us all!